This enchilada sauce is so quick and easy, but tastes amazing and blows any store-brought rubbish out of the water! 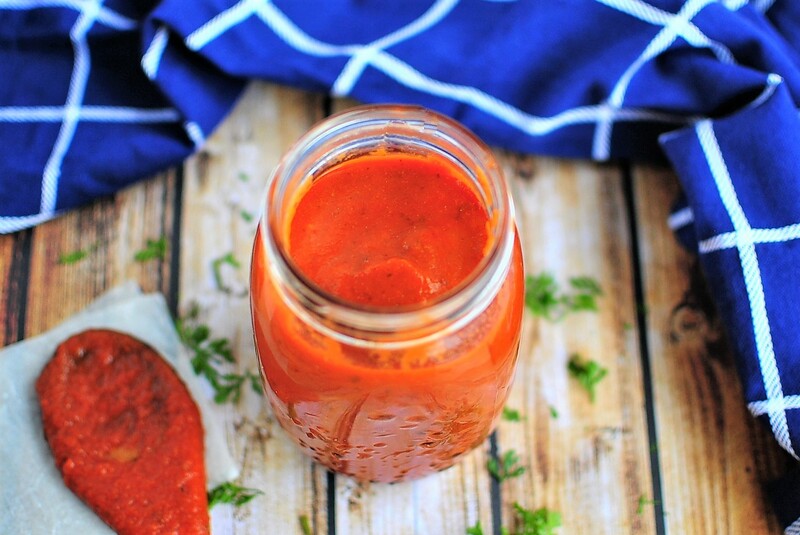 This really should be called Your Go To Spicy Tomato Sauce, because it would be a shame to only use it when you are having enchiladas as it would be perfect over pasta or anytime you need a tomato based sauce and if you don’t want it spicy leave the chili out altogether. This freezes really well so if you like it, make a double or even triple batch and freeze it so next time you need it all you need to do is defrost and you are good to go. Just as quick as take out, but way better for you! I made pulled pork enchiladas a while back, mainly to use up the leftover Slow Cooker Pulled Pork we had with roast vegetables the night before. They were AWESOME so I will post that recipe soon. No Replies to "Awesome Enchilada Sauce"